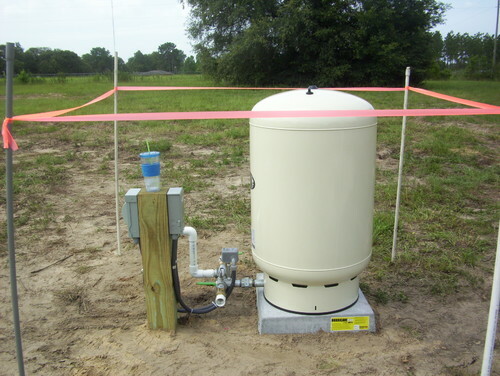 A Well Pressure Tank is an extremely important part of a well-pumped water supply system. Water is pumped into the Well Pressure tank. 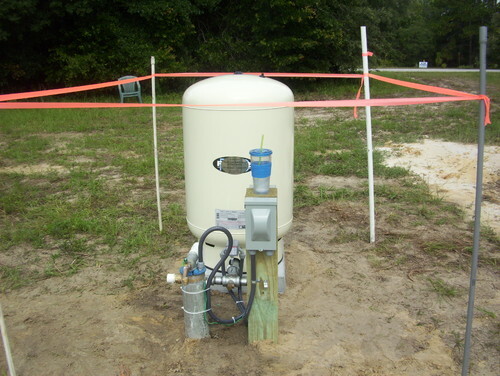 The Well Pressure tank has a diaphragm in it that, when compressed, makes the “pressure” in the water system. Many well pressure tanks are in the basement of a home. Unfortunately , many homes throughout the US do not have a basement. 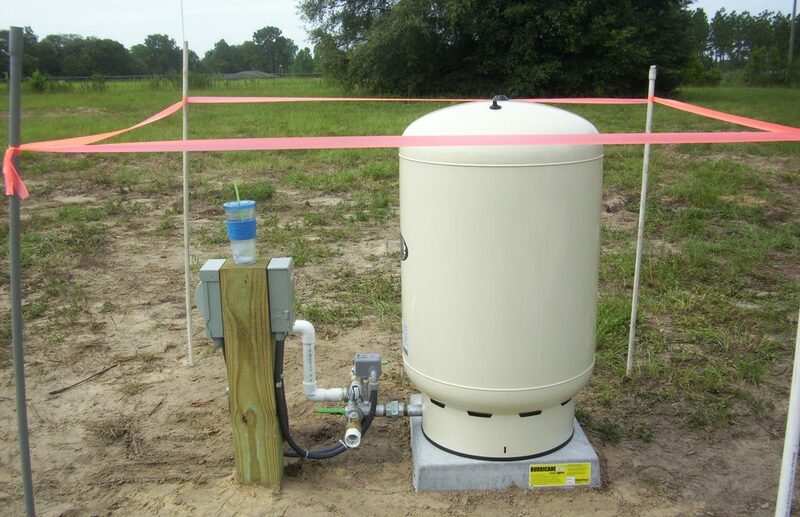 This presents a problem, the well pressure tank must now be in a structure near the well in an exterior “storage closet,” located in the garage or simply out in the open. All locations being subject to cold weather. If the weather gets cold enough (below 32°F) for an extended period there could be problems with freezing; That is something we need to avoid with a Well Pressure Tank. 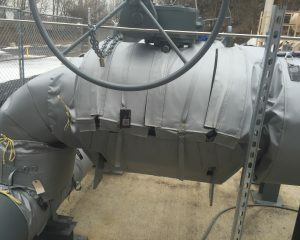 Thermaxx has a simple solution to help avoid freezing problems: Our “PT Bag” (Pressure Tank Bag). The Thermaxx PT Bag is made of a high R value fiberglass product with a heavy-duty Silicone/Fiberglass cloth for the inner and outer material. The material is sewn together using Kevlar thread, short straps with D rings are place around the bottom so any type of tie down security can be utilized. 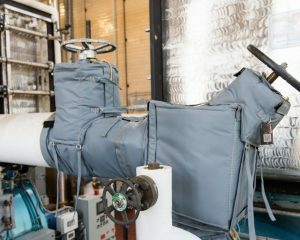 Thermaxx also makes Backflow Bags, Water Pump Bags and Well Pressure Tank Bags “PT Bag.” Since we are the manufacturer of these bags we can make a “Bag” for just about any type of equipment. 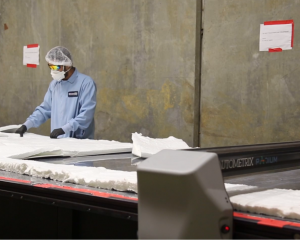 Thermaxx also manufactures a complete line of non-insulated products that will protect sensitive, electrical outdoor equipment from weather like actuators. These are called our WeatherMaXX Covers! 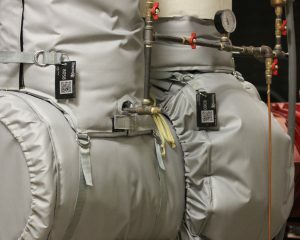 For more information on how Thermaxx Jackets can insulate your well pressure tank, backflow preventer, water pump, or just about anything else, view our products or contact us!